... Earnings Call Slides. May 10, 2018 3:00 PM ET. |. 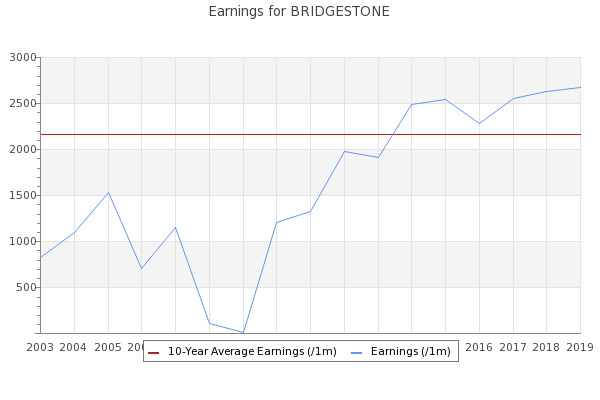 | About: Bridgestone Corporation (BRDCY), BRDCF. by: SA Transcripts. Q1: 05-10-18 Earnings Summary. Icahn on the hunt for Pep Boys with offer over Bridgestone's ... offer eclipses the $15 bid from Bridgestone (OTCPK:BRDCY, OTCPK:BRDCF) . 10, 2017 3:43 PM ET. |. | About: Bridgestone Corporation (BRDCY), BRDCF. by: SA Transcripts. Q3: 11-09-17 Earnings Summary. Transcript.